A drought is a more general phenomenon than low flow and can be characterized by more than low stream flows. 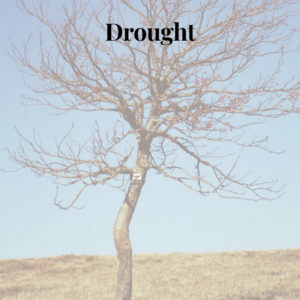 Droughts can be classified as meteorological, atmospheric, agricultural, hydrological, and water management. Typically, a drought is defined in terms of water availability for various designated uses.